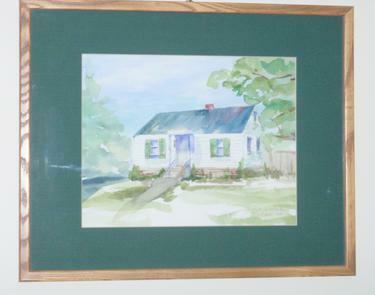 My original works hang in private collections from Maine to Montana. I have participated in many local shows in the Newburyport area and studied of watercolor painting with famous instructors in Florida, New Mexico, and Cape Ann. Landscapes of the local coastline are a specialty. My painting of the Newbury marsh was chosen as the cover piece for the Newbury Town Report for 2006. Currently I teach two classes for adult painters. Lessons are available and beginners are encouraged. Please contact me via email to learn more about private lessons. 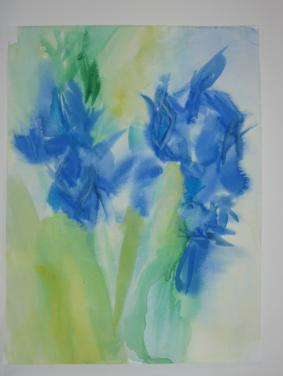 Being an artist has allowed me to teach adults the pleasures of watercolor painting. It is not as difficult as you may think. I will draw on my thirty five years of teaching experience to develop your creative talents. I welcome all inquiries. Details will be provided upon request via email or telephone. Other talents that I can share with you are custom greeting cards, invitations and stationery. These are specialty items. House portraits are a specialty and commissions are always welcomed. This makes a marvelous gift for a new home owner. Refer to the testimonials page for more gift ideas...Pet owners will appreciate the artist's work. For house portrait ideas, please contact me.